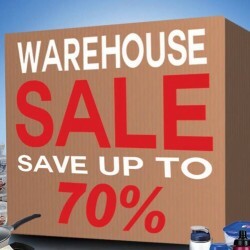 Shop for Lock & Lock and Algo products at their warehouse sale at up to 70% off! Happening from 17 to 21 October 2018, visit the warehouse to do early preparations for Deepavali, Christmas, and CNY! Get free delivery for purchases above $300. 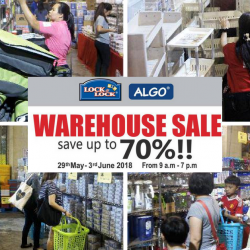 The long awaited Lock & Lock warehouse sale is here with up to 70% off Lock & Lock and Algo products! There will be a one-day special preview exclusively for Passion Card Members on 29 May 2018. Just show your Passion Card during checkout to get additional 5% discount on the total bill! Warehouse sale ends on 3 June 2018. 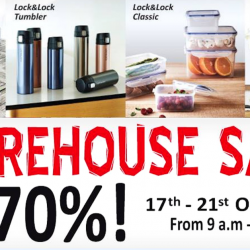 Lock & Lock, the leader in products such as airtight glass containers, food storage containers, lock n lock containers and more, is having a Warehouse Sale again! This highly popular event is happening from 15 to 18 June 2017 with items up to 70% off houseware, kitchenware and stocker! 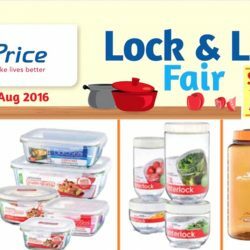 Get more containers and cooking ware at NTUC Fairprice's Lock & Lock Fair happening from now till 31 August 2016! Save up to 39% on selected Lock & Lock products at selected NTUC FairPrice outlets. Products and variants availability varies from store to store. Lock & Lock, the leader in products such as airtight glass containers, food storage containers, lock n lock containers and more, is having a Warehouse Sale again! This highly popular event is happening from 14 to 17 January 2016 with items up to 70% off. There will be Lock & lock bundle items on sale, Hourly Specials, Made In Japan Clearance Items and more! Dun miss it! 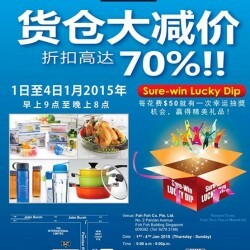 Lock & Lock starts the new year with warehouse sale up to 70% off with bargains & sure-win lucky dips until 4th Jan 2015. Attention to all Lock n Lock Fans! 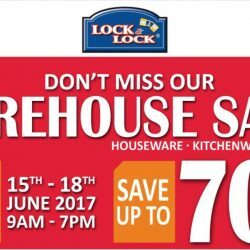 Lock & Lock warehouse sales is coming up to 70% off! Don't miss this chance to get the things you need. Merry Christmas! 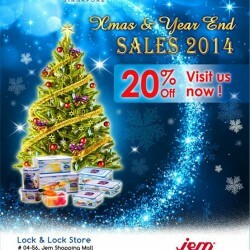 Lock & Lock are proud to present this offer at their online shop with their 20% off Sale at Jem. Grab it now! 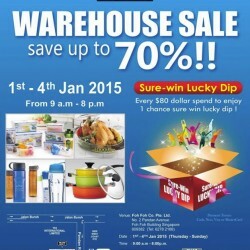 Mark your calendar for Lock & Lock Singapore's Warehouse sale this July! Airtight food containers from all sizes, plastic food containers, water bottles and more up to 70% off to choose from! There will also be lots of 3M products such as 3M tape, stationery and car mat! Promotion from 3-6 Jul. 2014, 9AM-8PM daily. 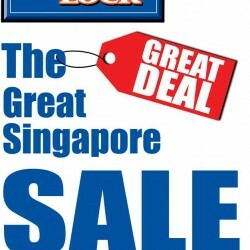 Join Lock & Lock's Great Singapore Sales and @JEM #04-56. Shop first-class airtight glass containers, food storage containers, lock n lock containers, plastic food storage & water bottles now for a great price!